Can I have 40 minutes of your game-time? A short while ago, some vc-gamers started to have frequent "sort-of-funwars"-days, inspired by "Altbekannter". If interested, I like to invite all of you to come & join these events. Are you interested: Please send an email to "altbekannter@gmx.de"
4. 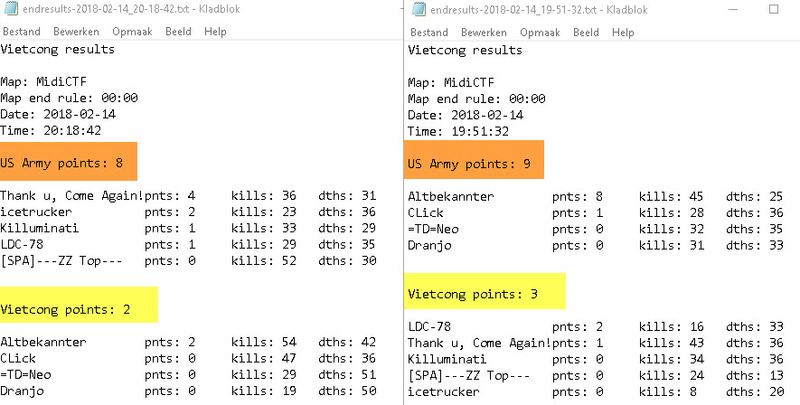 And have a 2 times 20 minutes ctf-funwar. 5. At the moment: we only play midi, but ... that's open to alternatives. 6. If you're entering late ... That's no problem. Please pick a team that you think will balance the game the most.